Sally Swift has turned an apparent disability into a benefit for many people—and horses. As a youth with serious scoliosis, she began riding horses as a way of exercising her whole body without favoring one side over the other. Not being a natural athlete, Sally Swift paid close attention to how she could accomplished certain tasks. Her readers reap the benefits of this study. The strongest aspect of her teaching are the many images which she provides. Like most books on riding, Centered Ricing applies to all kinds of riders. Although specific references are made to the English style of riding, the basic images can be used for any riding discipline. An example of her imagery is the picture of the rider's body as a stack of building blocks balanced one above another. If these blocks are properly balanced, there is no need for excessive muscle tension to keep the body erect. The body can remain supple and responsive. Imaging oneself as an inflatable doll with sand in the bottom makes one very stable. Centered Riding is filled with such images. 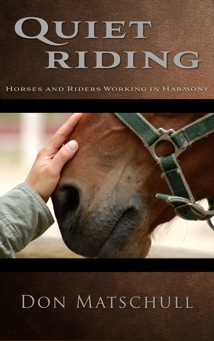 Basic descriptions of human anatomy add to the reader's understanding of how the use of his body affects his riding. It enables him to realize how to use his body most effectively. Stiffness in the rider's seat, for example, inhibits the movement of the horse. And good hands depend on a good seat. Balance and relaxation are key to riding comfortably. 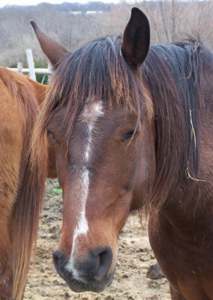 If the rider is relaxed, he can become more aware of his horse. He can listen with his body. Sally Swift's Centered Riding is a should read for anyone who wants to ride well.